Along the Great North Road, traveling from London through Cambridgeshire is the small, peaceful village of Buckden. Old coaching inns now have been turned into gastro-pubs, while the picturesque houses are smartly refurbished and often owned by those who make the long commute into London by train – the lost time more than worth living in the beautiful Cambridgeshire countryside. In the center of Buckden, however, an ancient fortified manor house built in the 15th Century rises over the thatched and tiled roofs of the village, the bricks and stone having replaced the wooden 12th Century Bishop’s Palace which has long since disappeared. It was here that Katharine of Aragon was imprisioned and the Bishops of Lincoln lived, surrounded by crenulated walls, moat, and outer bailey. It speaks of an age when a bishop was a wealthy feudal lord, who led the diocese but also maintained an army. The bricked towers of the fortified manor, added in 1475 by the Bishop of Lincoln, © cambridgemilitaryhistory.com, 2015. 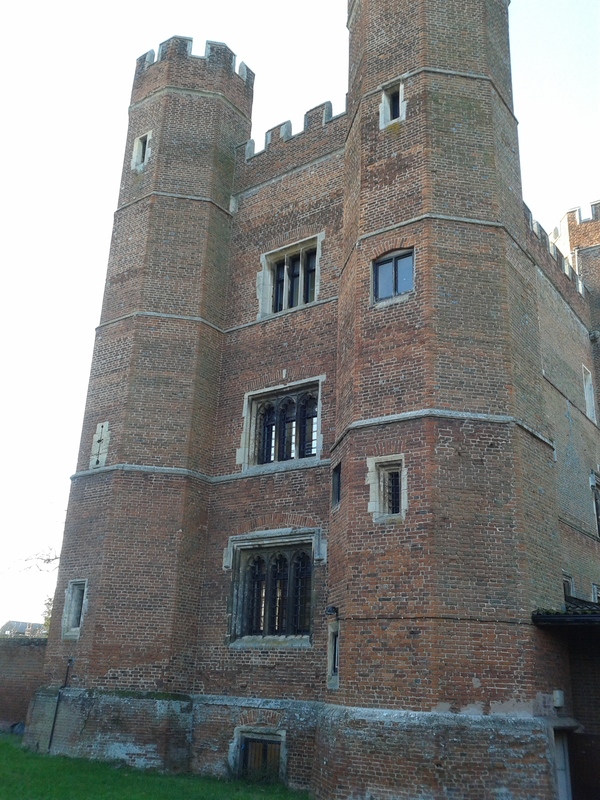 The brick towers of the fortified manor house were added in 1475, during the War of the Roses by the Bishops of Lincoln. It is during that period of conflict that the Bishop’s Palace appeared to reach the height of its defensive works – fortified manor with towers, crenulated interior wall, moat, and outer bailey. Sadly much of the defensive works were demolished during the Commonwealth in the 17th Century and in the 19th Century, but that cleared the way for some impressive later Victorian era buildings. 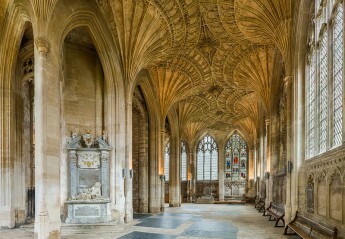 The Bishops of Lincoln left the property in 1837. The moat was filled in 1871 as the Victorian buildings were finished and the Palace serves as a religious retreat to this day. The Claretian Missionaries now reside here, but the grounds are open for one to wander around and appreciate this ancient fortified manor house. 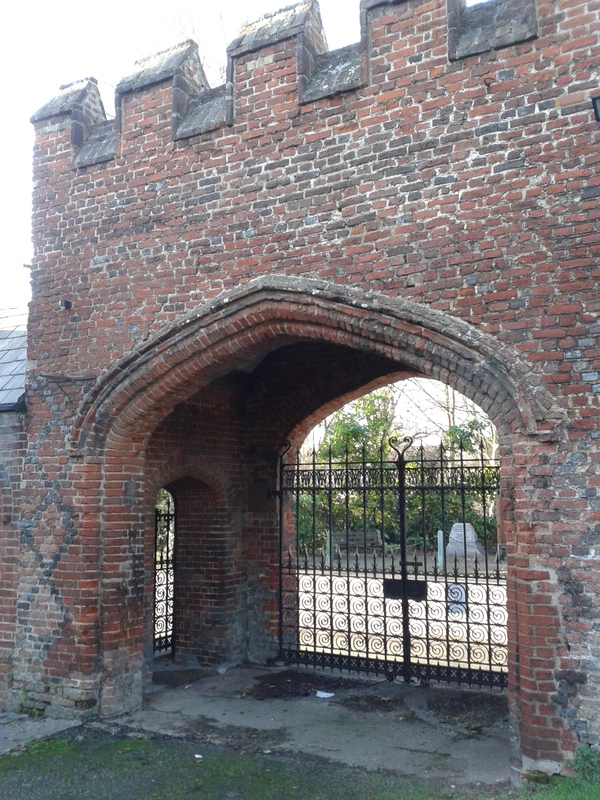 Many monarchs were entertained in the Bishop of Lincoln’s Palace at Buckden: Henry III stayed here in 1248, Edward I called the Longshanks and Malleus Scotorum was here for a time in 1291. Richard III visited the Palace in 1483, the first year of his short reign that would end two years later at Bosworth Field. The Palace of Buckden is probably best known for holding Henry VIII’s first Queen, Katherine of Aragon during the King’s Great Matter, from July 1533 until May 1534 until she was transferred a few miles away to Kimbolton Castle, where she died in 1536. She would eventually be buried just north of both Buckden and Kimbolton at Peterborough Cathedral. 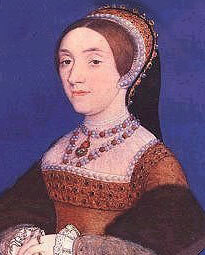 Miniature of Catherine Howard as Queen of England by Hans Holbein the Younger. This image is in the public domain. Ironically, a few years after her death, an aging Henry VIII would stay at Buckden Palace with his fifth wife, Catherine Howard (she was 17 at their marriage; Henry was a gouty and obese 50). They stayed at the Palace in 1541, during a summer tour that the King and Queen took of England before her coronation. It was during this tour that Catherine would be accused of committing adultery with Thomas Culpeper which led to her beheading for treason in 1542. 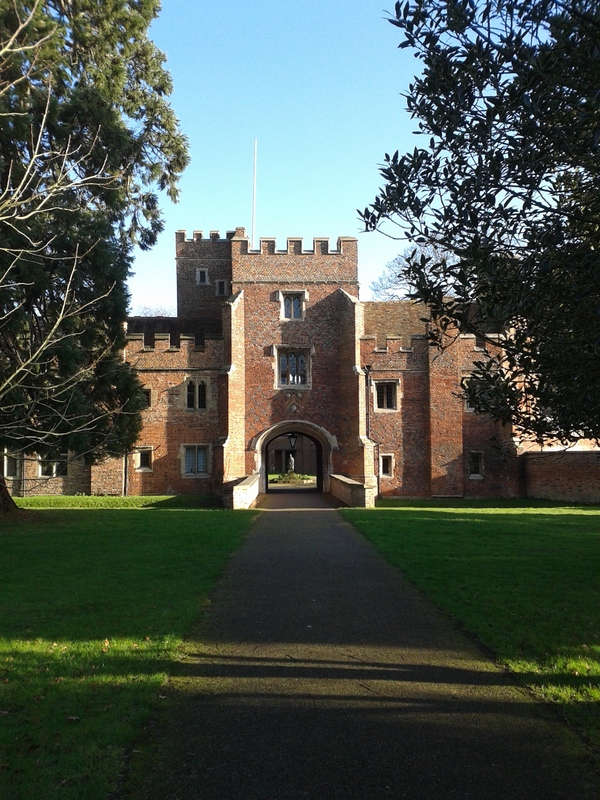 It is unknown what occurred between Henry and his penultimate wife while at Buckden Palace, but the fortified manor certainly served as a major setting for the drama of Henry’s love affairs – which ended so tragically for the two women who stayed at Buckden. The interior of the fortified gatehouse which was once the access point to the inner courtyard of Buckden Palace. © cambridgemilitaryhistory.com, 2015.